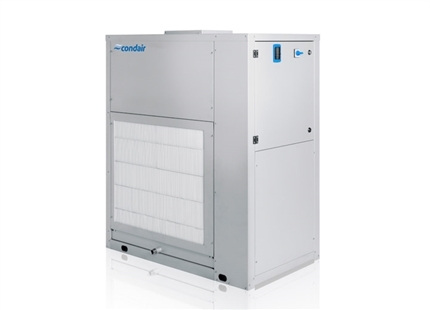 Condair DC 50W to 200W is an attractively designed, wall-mounted dehumidifier range with capacities from 49 to 190 l/d (30°C/80%RH). Integrated electronic controls and optional feet. Dehumidifier for wall-mounting in a neighbouring room. Moist air is drawn into the unit and dry air supplied back to the room via ducting. 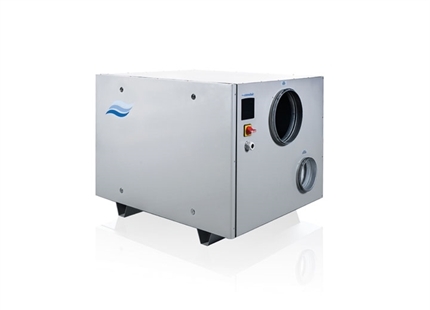 Models in this range provide dehumification capacities of 49 to 190 l/d (30°C/80%RH). 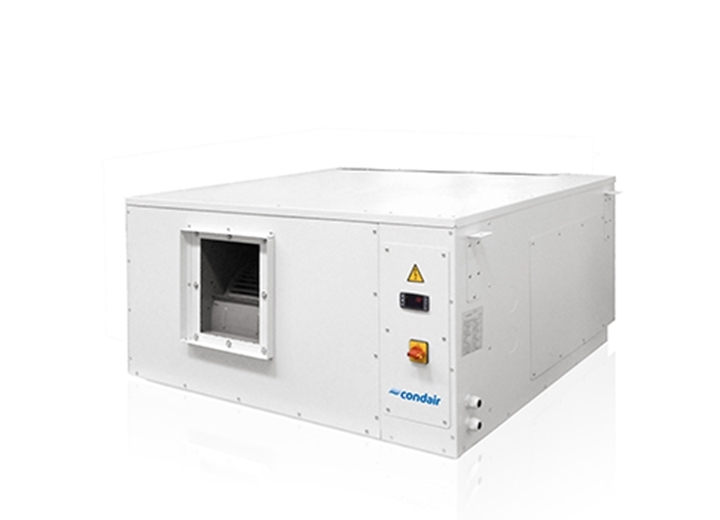 The Condair DC 50C to 200C ceiling mounted dehumidifier range is designed to be concealed above a suspended ceiling. Capacities range from 49-190 l/d (30°C/80%RH). 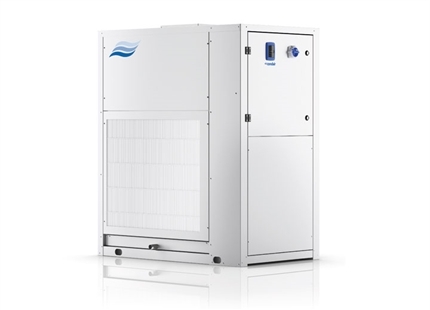 This range of condensing dehumidifiers offers powerful drying performance and the convenience of wall or ceiling mounting. 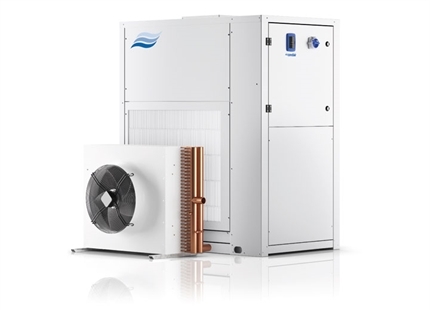 All models in the range incorporate R410A refrigerant gas and are made from hot-galvanised thick sheet metal with polyurethane powder enamel. 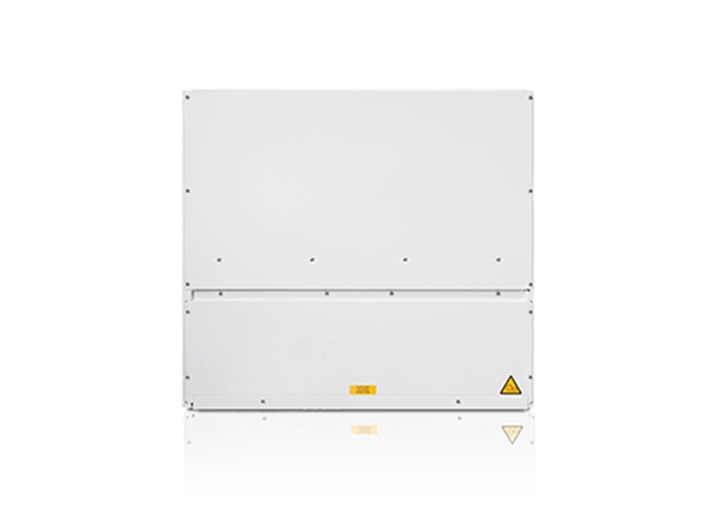 Each series comprises of five models with capacities ranging from 49 to 190 litres per day. 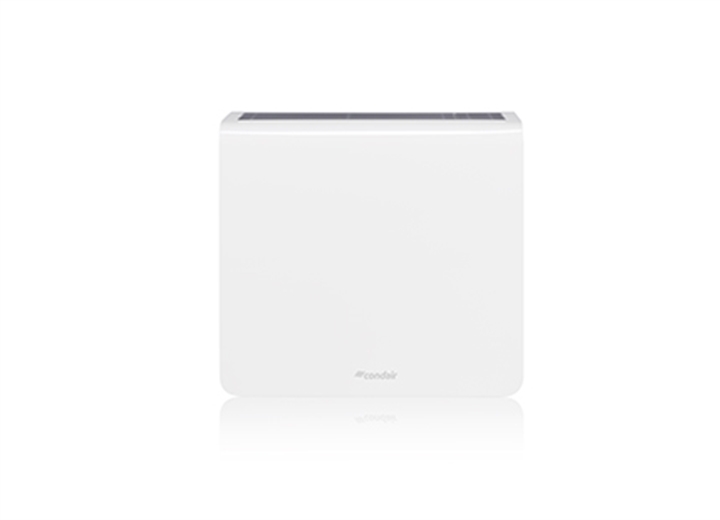 The wall-mounted versions can be supplied with optional steel feet for extra stability. Remote control wall controllers can be located up to 50m away and replicate all control functions. Wall-mounted remote mechanical hygrostats are also available.